Description Help deliver supplies back to Earth with your superior hand eye coordination and sheer determination. Avoid obstacles and travel through wormholes to do what you must! Move your ship to the portal. 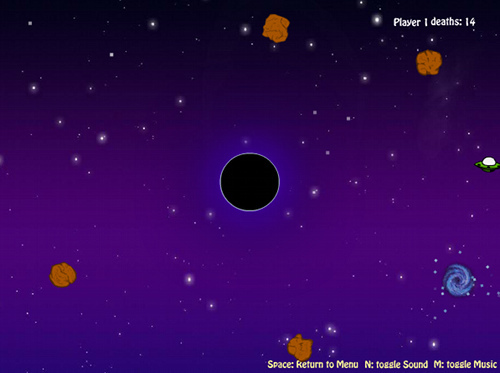 Avoid obstacles such as lasers, comets, asteroids, and black holes.